I am excited! This week I'm going to see Idina Menzel in concert. Many of you may not know who Idina is, but she is a stage and screen star – probably best known for playing Elphaba in the Broadway production of my favourite ever musical - Wicked. Oh, and she plays Rachel’s biological mother on TV show Glee. If you haven’t seen Wicked, it is 'another take' on the story of the witches of Oz. And anyone who knows me, knows my love of all things Oz. It probably all stems from endless repeats of ‘The Wizard...’ on TV when I was younger. And it has stayed with me. 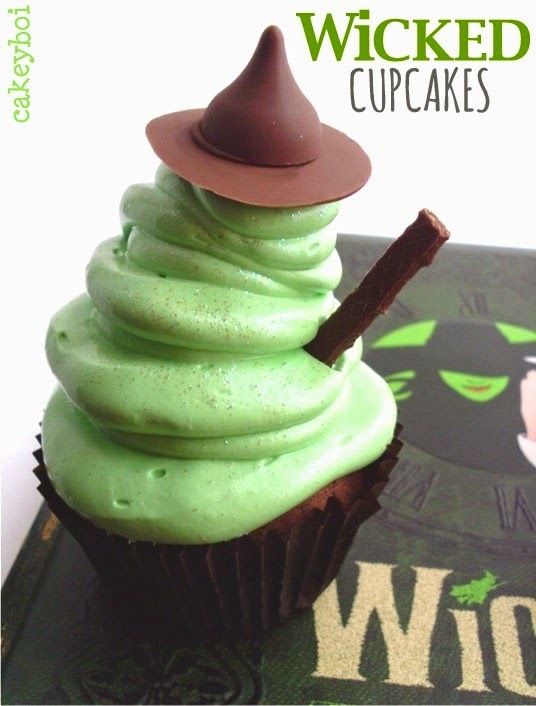 And to celebrate the fact I am going to see the original Elphaba – I decided to make Wicked cupcakes, which all ties in nicely with this month’s Halloween theme! The cupcakes are chocolate sponge, with a molten choccy centre and a huge swirl of peppermint frosting atop. I like to think of them as Peppermint Hot Chocolate Cupcakes, what with the molten centre. I melted some chocolate and made little discs, stuck some Hershey Kisses on them to make little witch hats and for the broomstick I used mint flavoured Matchmakers. Pre-heat oven to 180oC. Line a muffin tin with brown muffin cases. Sift together the flour and cocoa powder, set aside. In a bowl beat together the butter and sugar until smooth and creamy. Add the eggs one at a time, mixing after each addition. Stir in one third of the flour, then half the milk, another third of the flour, remaining milk, finishing off with the remaining flour. Half fill each muffin case with the batter, then stick a chocolate chunk in the middle (don't use Kisses, they refuse to melt! ), pushing down slightly although not to the bottom. Top each case with more batter, covering the chocolate chunk completely. Pop into the oven for 12 – 15 minutes. A toothpick should come out clean from the sides – don’t poke it in the centre, as the melted chocolate will just come out. Allow the cupcakes to cool. 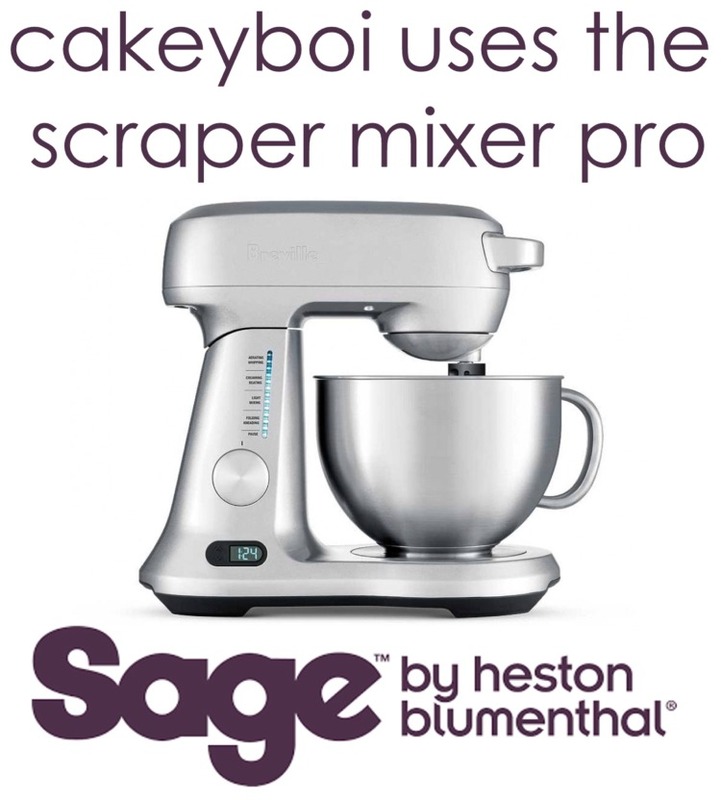 To make the frosting, place all of the ingredients, except the extract and colouring, in a large bowl, over a saucepan of simmering water and with an electric mixer, beat for 5 minutes. The frosting will become thick and voluminous. Remove from the saucepan and add the mint extract and food colouring. Beat for another couple of minutes. To decorate, I placed the frosting in a piping bag and piped it on the cakes as high as I could (defying gravity some might say). I then balanced the witches hat on top and added half a Matchmaker. I sprinkled on some edible glitter for magic sparkle, but this is entirely optional. I am entering this cupcake into the Calendar Cakes Challenge hosted this month by Dolly Bakes, ably assisted by Laura Loves Cakes. 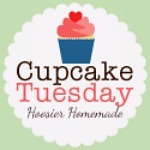 I am also entering the cupcake for Cupcake Tuesday hosted by Hoosier Homemade. Hahaha, love these! i think they're the most original cupcakes i've ever seen. perfect for halloween too! Thanks Candice - I'm glad you like! What great witches hats! You are a very clever cakeyboi! I love mint and chocolate so these will have to be made. Thanks! 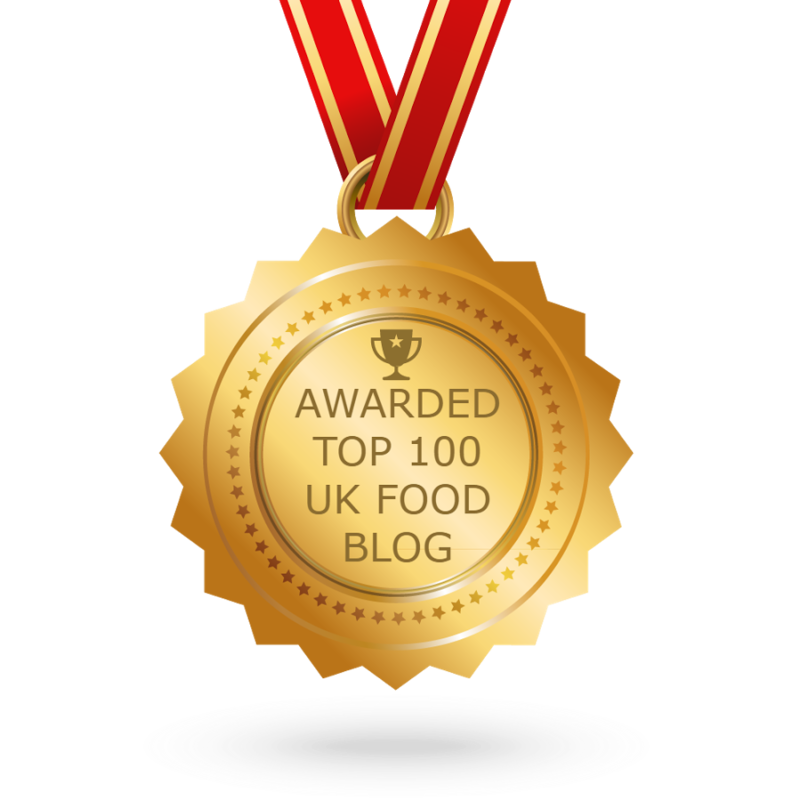 Yes, very good combo, a bit like mint choc chip ice cream too - without the coldness! Wow, these are brilliant and what an original cupcake! I love the sound of the chocolatey, minty flavours and I love the decorations...you could be on cupcake wars with these...I think they had a Wicked episode! 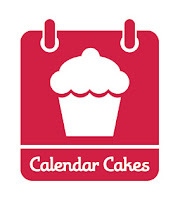 :-) Thanks for entering Calendar Cakes! What super cupcakes and I agree with Debs great flavour combination! Loving the chocolate witches hats, I'm into making chocolatey treats at the moment. So I see! Loved your lollies - thanks for checking me out! Glad to see they have remained upright and are 'Defying Gravity'!! Just brilliant Stuart! I love them!!! Peppermint hot chocolate cupcakes? where do I sign up! that sounds delish! Hope you enjoy the concert! Her concert was amazing, and moving! If you get a chance to see her again, grab with both hands!! Not only are these little hats adorable, but the frosting on these is absolutely AWESOME! The photos are amazing, but I'm sure these are even cooler in person - perfect for Halloween!